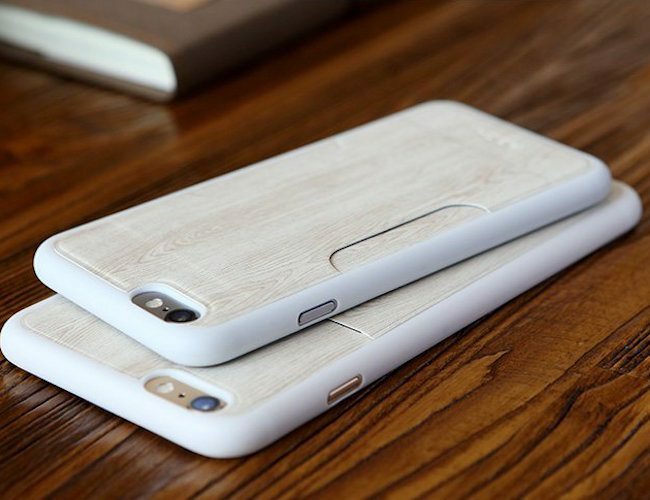 Amp up your phone protection game and keep your cards close by with the Wood Grain Card Slot iPhone Case by Rock. 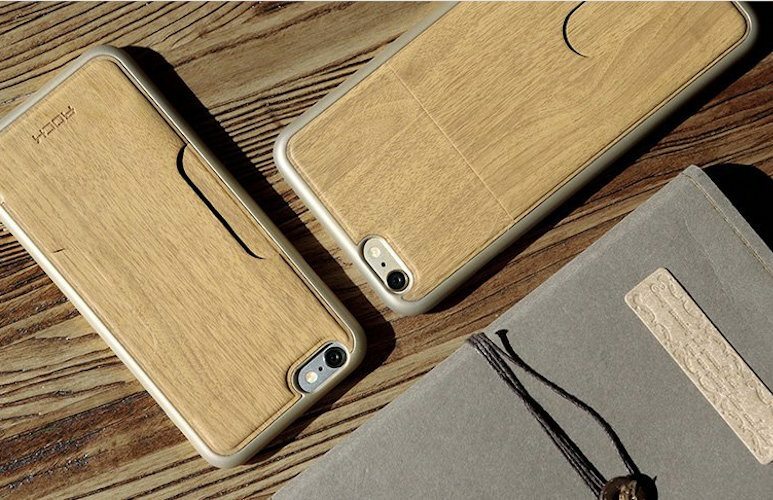 Designed to fit both the iPhone 6 and iPhone 6 Plus, this case comes in brown, beige, and black. 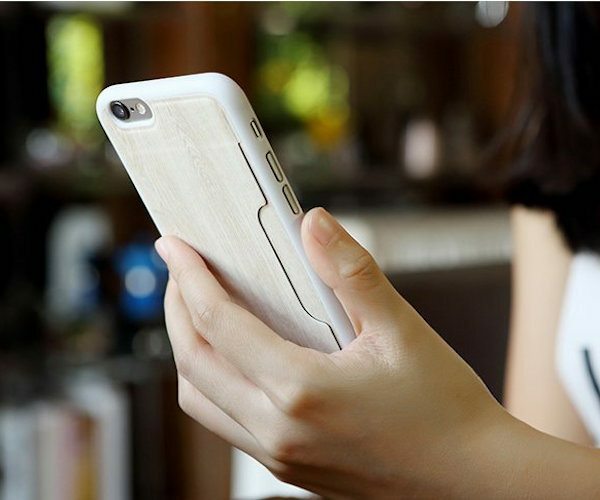 Made of durable plastic, strong leather, and authentic wood grain, this phone case has a sturdy and protective yet classy feel. 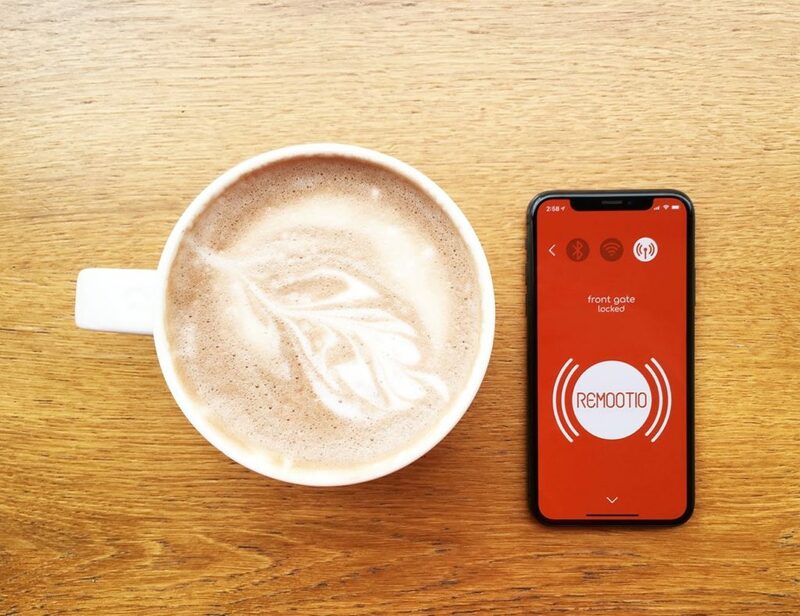 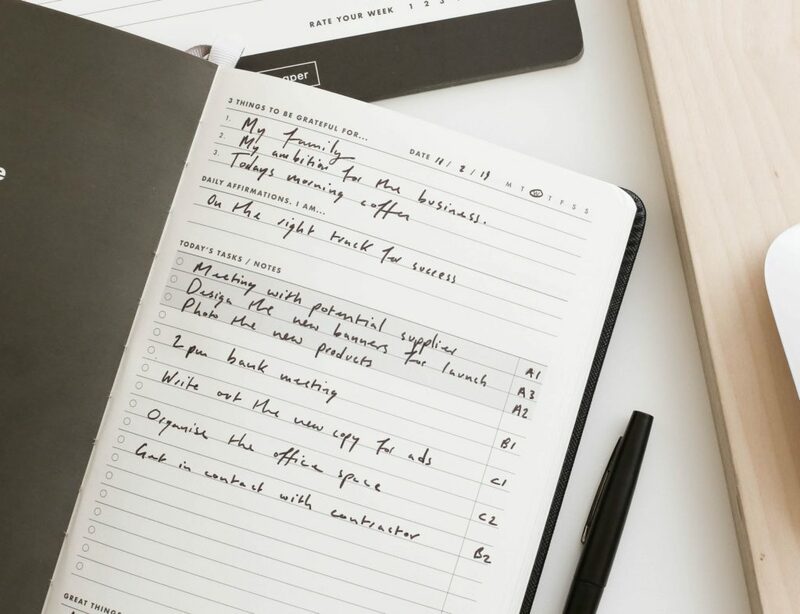 The inconspicuous card slot fits and secures one to two cards so you can leave the house with everything you need in one safe place. 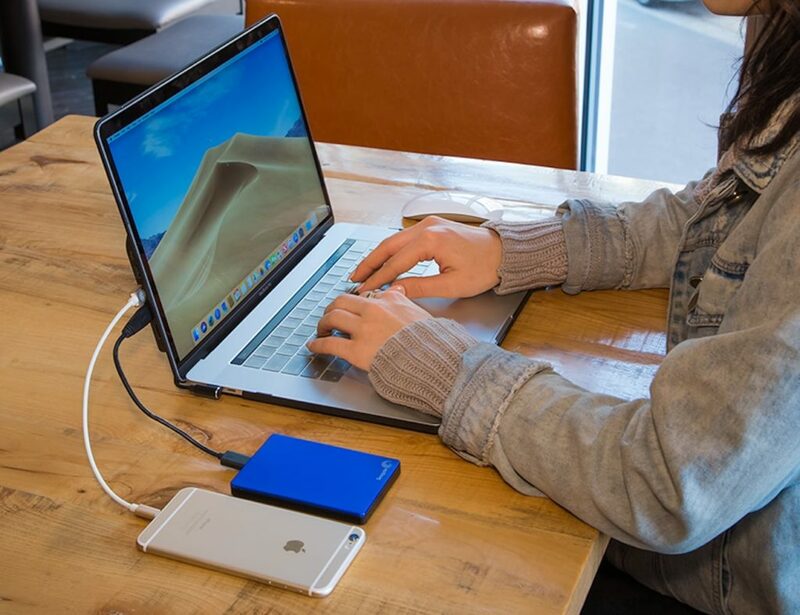 The case features cut outs for the camera, ports, and buttons so your usability is not limited. 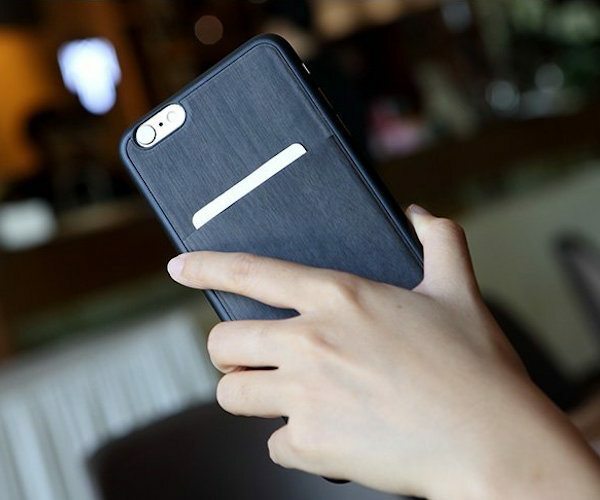 Additionally, it features slightly raised edges around the front, protecting your phone’s screen if placed face down. 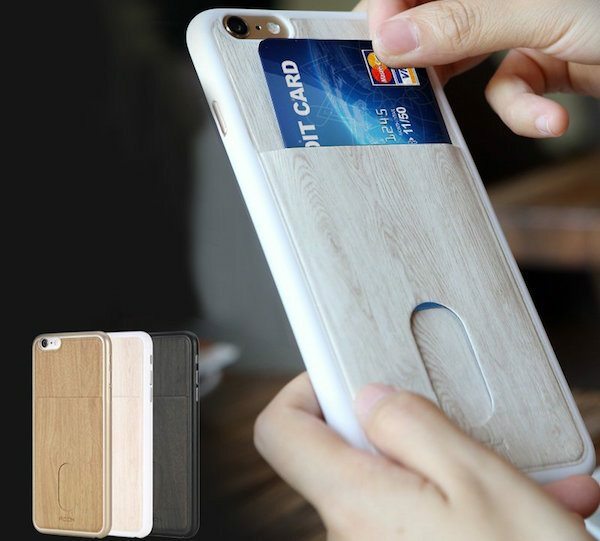 Minimal yet fashionable, the Wood Grain Card Slot Case is a beautiful way to keep your phone and cards safe.